41:27 – A Sunday talk from The Center for Spiritual Living North Jersey. A very special and different Sunday Celebration with Rev. Michelle. Experience the beauty of our Sangha (Community). We have a unique way of presenting Truth; sometimes in a sacred way, sometimes in a way of celebration. This Sunday will be different, deep and totally heart-centered. 40:42 – A Sunday talk from The Center for Spiritual Living North Jersey by Rev. Michelle Wadleigh. Using the analogy of a transformer which takes the water (Spirit) that it receives and converts it to electricity (Power), let us be a transformer and allow ourselves to be used in this way wherever we go. 32:22 – A Sunday talk from The Center for Spiritual Living North Jersey by Rev. Michelle Wadleigh. Yes is such a beautiful word – when you are getting what you want. What would happen if we lived in a Yes consciousness always? What would a life of Yes look like? Let Rev. Michelle entice you into the Yes of your life. – A special Creative Team Piece for your pleasure. 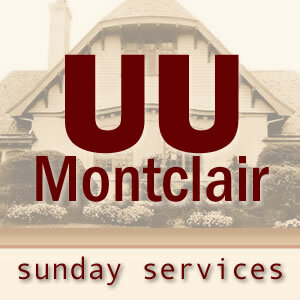 34:07 – A Sunday talk from The Center for Spiritual Living North Jersey by Rev. Joel Fotinos. Do you sometimes wonder where you fit in and why you are here? Join Rev. Joel as he discusses our true purpose in life, and how we can use the spiritual tools to not only discover it, but live it fully. 24:11 – A Sunday talk from The Center for Spiritual Living North Jersey by Rev. Michelle Wadleigh.